This post is about my Dad. 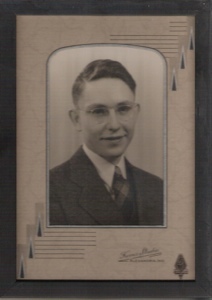 Donald Vester Tappan (1943) at age 18 in his high school graduation photo. Such a lovely tribute to your Dead Isabel. Those brave boys from that war typically didn’t speak of it. My Dad certainly didnt either and i remember his mentioning that when one of his lifelong navy buddies died years ago he found out he had 2 purple hearts. And only because they were placed with him in his final resting place. What a great story to share with your son.